It's okay for the US -- but how do you calculate lost profit in the Lost Continent? "In this one-stop resource you’ll find a comprehensive overview of strategies, analysis, case studies, and legal insight to help you calculate and recover the maximum lost profits incurred due to patent infringement. Nowhere else will you find such a complete and thorough analysis of current case law and the valuation methods that form the basis of damage awards in IP and patent infringement cases. ... you’ll learn the accepted methods and procedures from financial experts and insight into legal issues from top IP attorneys. This includes a summary of applicable rules of civil procedures and evidence, and continually expanding case law that interprets what prior courts have deemed as acceptable evidence for lost profit claims. You’ll also learn what the courts have rejected and details explaining the reason for the rejection". The European Union, with a market of not far short of twice as many consumers and with a history of patents that is certainly more than twice as long as that of the United States, has no comparable publication. The EU's Intellectual Property Enforcement Directive, Directive 2004/48, has been in force in EU Member States for only around seven and a half years and has virtually no patent-specific case law or interpretation to flesh it out. There are simply no insights to be had. An EU version of this work should be started immediately, while there is so little data to analyse and material to work on; that way, it can grow as decisions proliferatedand methodologies relating to lost profits mature. Further details of Calculating Lost Profit in IP and Patent Infringement Cases can be accessed here. The Chartered Institute of Patent Attorneys' CIPA Congress 2013 takes place on 3 and 4 October at the Lancaster London Hotel. There's a full and challenging programme, as well as the President's Dinner at which Mr Justice Birss -- formerly of the Patents County Court, England and Wales, and now of the Patents Court -- is the guest speaker. Amon the many attractions is a session on the effect of non-practising entities on patent strategy, looking at both litigation and transactional options. Participants in this session are Greg Corcoran (Corporate Intellectual Property, ASML), Nicola Dagg (Allen & Overy), Gwilym Roberts (Kilburn & Strode) and George Whitten (Qualcomm Europe, Inc). There is also a session on patent litigation options in the new Europe, featuring David Barron (Wragge & Co LLP), David Rosenberg (GlaxoSmithKline) and Claudia Tapia (BlackBerry, Germany). Full details of the programme, and information on how to register, is accessible here; the Early Bird discount rate expires this Friday, 30 August. The 10th annual IPAG (Intellectual Property Administrators Group) Conference is being held at the same time in the same venue. You can check out the IPAG's increasingly adventurous programme here. There are “mix n’match discounts available ranging from 10% -25%!”, which may be particularly attractive if you are one of a number of IP administrators from the same company or firm. 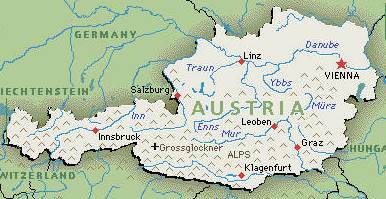 Austria has recently introduced a system of new provincial administrative courts which, it is said, will affect administrative provisions in several intellectual property statutes, including Austria's Patent Act and Act on Utility Models. The amendments mainly concern the reorganisation of appeal procedures. Currently, appeals against decisions of the Patent Office's technical and legal departments are raised with the Office's complaint department, whose decisions can be challenged, as can the decisions of the nullification department (which handles nullification applications) with the Supreme Patent and Trade Mark Board. However, with effect from 1 January 2014, everything will be different. Following dissolution of the Office's complaint department, the Patent Office will handle only first instance proceedings, and appeals against decisions of the Office's technical, legal and nullification departments will be filed with the Vienna Higher Regional Court. Decisions of the Vienna Appellate Court can still be challenged before the Supreme Court -- but only if stringent prerequisites for appeal are satisfied. Parties may be represented at the Patent Office and the Vienna Higher Regional Court by attorneys, patent attorneys and notaries public, but only attorneys have the right of audience in Supreme Court proceedings. Looking for something to read? The July/August issue of The Patent Lawyer magazine has plenty of easy-read material, even though there's not a great deal in this specific issue to rivet the attention of the patent litigation enthusiast. 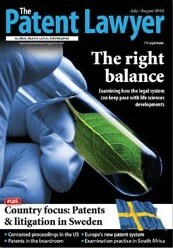 There is however a special country focus on patents and litigation in Sweden, which will no doubt be of particular interest to anything thinking of or expecting to litigate there. Both the German Bundestag and the German Bundesrat have now accepted the proposal for a revision of the German Patent Act previously discussed here. an extension of the search report, so as to include a preliminary opinion on patentability. The original proposal was modified by adding the exclusion of “plants and animals” obtained only by such methods “to the exclusion of essentially biological processes for the production of plants and animals" in § 2a (1) Nr. 1 of the German Patent Act to thereby address questions raised in the second referral to the enlarged board of appeal in the “Broccoli” case T0083/05 at the EPO. Most of the amendments will enter into force with a delay of 6 months from the publication of the law, i.e. in February or March 2014 in order to allow for some technical preparations in the DPMA. Here's the second post from our good friend and blogging colleague from India, J. Sai Deepak, founder of The Demanding Mistress intellectual property and innovation weblog. Both pieces focus on areas of interplay between patents and competition law. In my previous post, I discussed certain situations under Indian law which could attract both the Patents Act and the Competition Act. Continuing in the same vein, this post discusses the interaction between the two sets of legislation in instances of abuse of dominance. Since the interface between the Patents Act and Competition Act is being discussed, it is important to understand the position of these legislations on similar or identical or related issues. For instance, while the Competition Act refers to “unfair price”, Section 84(1)(b) of the Patents Act (Section 84 being the compulsory licence provision) refers to a “reasonably affordable price”. How does one harmonize the interpretations of “unfair price” under the Competition Act and “reasonably affordable price” under the Patents Act? Is harmonization necessary since, as stated in my previous post, Section 60 of the Competition Act states that the Competition Act shall prevail over all other legislations or provisions in other legislations which are “inconsistent” with it? Although the Patents Act may be treated as the “parent legislation” which governs patents and patentees, Section 60 of the Competition Act ensures that the latter prevails over the Patents Act. An exercise in harmonization is necessary because the overriding effect of Section 60 of the Competition Act can take effect only when it is established that two provisions are “inconsistent” i.e. they are in conflict with each other. If, however, harmonization is possible without distortion of the objects or language of either legislation, Section 60 must be the option of last resort. So how does one harmonize “unfair price” with “reasonably affordable price”? It must be borne in mind that both “unfair price” and “reasonably affordable price” judge the cost of the transaction through the prism of the effect of the price on the licensee, as opposed to the proportionality between the price demanded and the value of the technology being licensed. In other words, “fairness” of a price may be the same as its “reasonable affordability”, but it is distinct from “reasonable price”. Having said this, it would be banal to state that to decide what is unfair or not reasonably affordable, it may be necessary to first determine what is fair or reasonably affordable, which probably calls for use of econometrics, and not just wordplay. In situations like these, the CCI has the power to farm out certain issues, such as licence fees, for the consideration of and determination by the Controller General of Patents. Under Section 21A of the Competition Act, the CCI could refer the issue of determination of licence fees to the Controller General of Patents before taking a final call on the issue of unfair pricing. In the alternative, in certain situations, the CCI may first record a finding of unfair pricing and then refer the matter to the Controller General of Patents for determination of a fair price. The situation discussed in this post is but one possible scenario. However, the larger point being made here is that there exists a plethora of options outside of the Patents Act in patent-related matters, and it would help to consider them in bringing about the desired outcome, instead of restricting oneself to only the Patents Act. 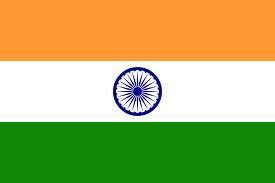 The Civil Procedure (Amendment No.7) Rules 2013 (SI 2013/1974) come into force on 1 October 2013. 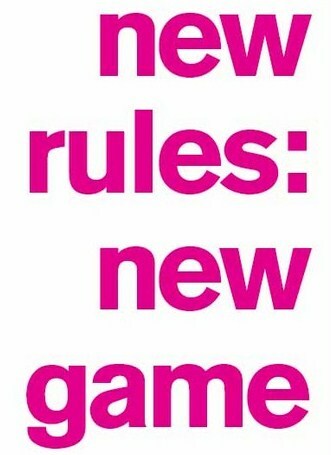 These Rules feature, among other thingss, amendments to the Civil Procedure Rules (CPR) which are made in consequence of the renaming of the Patents County Court for England and Wales as the Intellectual Property Enterprise Court -- which is being reconstituted as a specialist division of the High Court's, Chancery Division. The Rules amend Part 45 (fixed costs) and Part 63 (intellectual property claims), and include the inevitable transitional and savings provisions. Consequential amendments are also being made to the Practice Directions to Parts 45 and 63 of the CPR, and to the Practice Direction to Part 30, which concerns the transfer of actions between courts. Our good friend and blogging colleague from India, J. Sai Deepak, founder of The Demanding Mistress intellectual property and innovation weblog, has kindly written two pieces specially for PatLit, of which this is the first. The second, which PatLit looks forward to publishing soon, will discuss a few more areas of interplay between patents and competition law. Patent litigation all over the world has gradually moved beyond its standard template which typically involves suits for infringement, counterclaims for patent invalidation or contractual disputes. Since the conduct of warring parties has a bearing on competition and consumers, competition law is gradually beginning to make its presence felt, even in India. In this post, I shall deal with some of the situations where there is interplay between the Indian Patents Act 1970 and the Indian Competition Act 2002. Further, Section 28 of the Competition Act empowers the CCI to divide the abusive enterprise to ensure that it is never in a position to abuse its dominance. Pertinently, Section 28(2) of the Competition Act envisages “transfer or vesting of property, rights, liabilities or obligations”. In other words, Sections 27 and 28 together allow the CCI to create an interest by a way of a licence in favour of a third party on terms that the CCI deems fit. Clearly, the CCI has broader and much more lethal powers than the Controller General. What is critical to note is that Section 60 of the Competition Act states that the Act “shall have effect notwithstanding anything inconsistent therewith contained in any other law for the time being in force”. In other words, this Act has an overriding effect over all other laws, including the Patents Act. Critically, once the ball is set rolling under the Competition Act, the informant or complainant does not have the option of pulling back since, if the CCI sees merit in the information or complaint, it takes over. The informant then merely assists the CCI. Therefore, the choice of the legal option to be employed depends entirely on the outcome desired by an aggrieved party. On Wednesday, the US Court of Appeals for the Federal Circuit issued an interesting judgment in Hamilton Beach Brands Inc. v Sunbeam Products Inc., affirming the applicability of the on-sale bar in a case where the invalidating offer for sale came from a foreign supplier, which the patent holder had asked to manufacture products embodying the patent invention. The dissenting opinion argued, instead, that the majority failed to evaluate the commercial nature of the offer for sale, and the experimental purpose of the purchase order. Under the pre-AIA 35 USC § 102(b), the on-sale bar prevented the patentability of an invention which was on sale in the US more than one year prior to the date of the patent application: the rule aimed at obtaining widespread disclosure of new inventions as soon as possible, and at preventing the inventor from commercially exploiting the exclusivity of his invention substantially beyond the statutorily authorised period (RCA Corp. v Data Gen. Corp.). The Supreme Court, in Pfaff v Wells Electronics Inc., clarified that the on-sale bar is applicable to an invention which (i) is the subject of a commercial offer for sale not primarily for experimental purposes, and (ii) is ready for patenting. On February 8, 2005, Hamilton Beach issued a purchase order to its supplier for the manufacture of almost 2000 units of its Stay or Go® slow cookers (electrically heated pots used for cooking food at low temperatures); on February 25, the supplier confirmed receiving the order, adding that it would begin production upon receipt of Hamilton Beach's release. On March 1, 2006, Hamilton Beach filed a patent application, later issued as US Patent No. 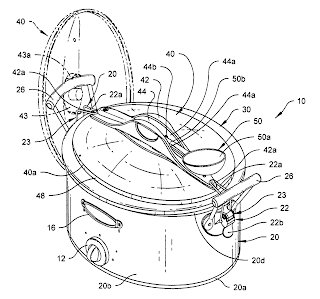 7,485,831, claiming a portable 'slow cooker' equipped with clips, mounted on its body, to seal the detachable lid. The company brought the invention to the market through its line of Stay or Go® slow cookers. Sunbeam, a direct competitor in the small kitchen appliance sector, soon marketed the competing slow cooker Cook & Carry®, which featured sealing clips mounted on the lid of the pot. Hamilton Beach subsequently filed a continuation of its original application, claiming a slow cooker with lid-mounted clips. When the patent was issued in 2011 as US Patent No. 7,947,928, the patent holder immediately filed suit against Sunbeam for infringement. The District Court for the Eastern District of Virginia ruled out infringement, and found the '928 patent to be invalid. This was because (i) it was not entitled to an earlier filing date because Hamilton Beach had added new matter when it had filed its continuation, and the sales of the Stay or Go® slow cooker, begun more than one year before that date, triggered the on-sale bar; and (ii) even if the patent was entitled to an earlier priority date, Hamilton Beach's purchase order with a foreign supplier constituted an invalidating commercial offer for sale. The Federal Circuit limited its review to the applicability of § 102(b) to Hamilton Beach's purchase order with its supplier, and employed, as the earlier critical date, the date most favourable to the plaintiff (March 1, 2005 - one year before the '831 filing date). From the outset, citing Special Devices Inc. v OEA Inc., the court noted that 'there is no "supplier exception" to the on-sale bar'; further, even if the commercial offer for sale was made by a foreign entity, it fell under § 102(b), as it was directed to a US customer at its place of business in the US. The decision then analysed the District Court's reliance on Linear Tech. Corp. v Micrel Inc., under which the transmission of a purchase order, before the critical date, from a manufacturer to a supplier, which fulfils the order by manufacturing the requested items, constitutes an offer to buy, which 'amounts to an invalidating sale under § 102(b) as long as the offer is accepted and a binding contract to sell is formed'. The court observed that Linear Tech (and thus the requirement of a binding contract) was factually distinguishable: in the case in hand, Hamilton Beach's supplier had, before the critical date, (i) confirmed receipt of the purchase order, and (ii) stated that it was ready to fulfil it upon release. Reciting previous case law, the decision clarified that a commercial offer for sale 'is one which the other party could make into a binding contract by simple acceptance', and held that the supplier's offer to sell the slow cookers to Hamilton Beach, which the latter could have made into a binding contract by simple acceptance, 'was enough to satisfy Pfaff's first prong without the need for a binding contract', even if the plaintiff provided the release only after the critical date. 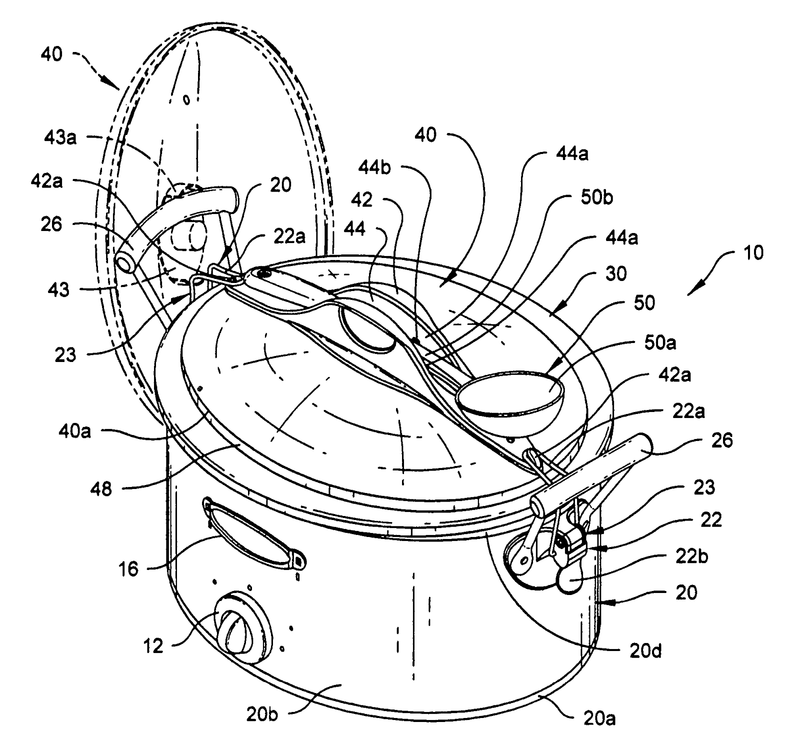 Assessing whether the invention was 'ready for patenting' before the critical date, the Federal Circuit found that evidence of pre-critical date meetings with representatives of retail customers, during which detailed descriptions and drawings of the Stay or Go® slow cooker had been presented, was enough to satisfy the requirement. Although Hamilton Beach alleged that, before the critical date, its prototypes did not meet the '928 patent claim that the seals prevented any leakages from the interior of the pot, the court held that '[g]iven the relative simplicity of the invention, the descriptions and drawings Hamilton Beach showed to its retail customers and the specifications provided to its supplier [were] sufficiently enabling and, as an admitted commercial embodiment of the patent-in-suit, would meet every limitation of the asserted claims'. In this perspective, it was noted that the addition of minor improvements ('fine-tuning') to the invention after the critical date 'does not mean that the invention was not ready for patenting'. My greatest concerns involve the implications this case will have for future innovators, most notably small enterprises and individual inventors who lack in-house prototyping and fabricating capabilities. […] Whenever the development process requires those entities to manufacture working prototypes or pre-mass-production samples, they often have no choice but to reach out to third party suppliers. Under the majority’s holding in this case, a single offer to buy for purely experimental purposes may trigger the on-sale bar, and the experimental-use exception will offer them no salvation. The Federal Circuit's decision is likely to attract significant debate, as many companies rely on third party suppliers for manufacturing both their prototypes and final products. At first sight, the judgment appears to blur the line between a transaction of commercial nature and one justified by experimental purposes, as highlighted by Judge Reyna, and to arbitrarily extend the on-sale bar to the outsourcing of those prototyping activities which relate to the fine-tuning of the invention. A deeper look suggests, however, that, while the decision would have benefited from a more open discussion of these issues, the Federal Circuit did not depart from its established case law. On one side, the majority clarified that its opinion 'will not “eviscerate” [the experimental-use] defense', as it was neither raised, nor examined in the case. On the other, where such defence does not apply, the applicability of the on-sale bar appears justified by the policy considerations surrounding § 102(b), which favour the prompt disclosure of inventions ready for patenting, over commercial considerations which may delay their availability to the public. Although this balance lies on an evaluation which is subjective in nature, as a company may assess its invention's readiness through different criteria than those employed by a public authority, filing a patent application as early as possible is usually both a viable and a sensitive remedy. The changes introduced by the America Invents Act could, however, alter the functioning of the on-sale bar, as the sale must now make the invention available to the public (see the USPTO Guidelines II.B. 1.d), in order to trigger an invalidating effect. A Scottish Claim Construction Hearing? Under Scottish court procedure there is hearing known as a Debate, at which the issues in the case are argued on the basis of what is set out in the pleadings. No evidence is led and the focus is solely on legal arguments. A Debate can be a very effective and cost-efficient tool to decide a case quickly and finally -- for example on grounds of lack of jurisdiction or title or lack of a relevantly made out case. A Debate was employed in this patent case by the alleged infringer to try to secure a dismissal of the action. It argued that the case as pleaded by the pursuer (claimant) on the meaning of the relevant claims meant that those claims did not cover the allegedly infringing equipment and methods. The defender argued that the words in the patent were clear and that their 'obvious meaning' meant there was no infringement as certain integers of the claims in suit were not dealt with in the pleadings. The pursuer's position on the other hand was that it had set out sufficient detail to give scope for a sufficiently wide interpretation of the claims such that the defender's equipment and methods would include every integer and thus infringe. They also argued that it was only appropriate for the court to reach a decision on claim construction after expert evidence was considered. The IP judge, Lord Malcolm, in a relatively short judgment, agreed with the pursuers, essentially on the basis that it would be inappropriate to decide the meaning of the claims of the patent in this case without some evidence from the skilled man's perspective. There would be the usual opportunity to do this via expert reports, witness statements and other evidence in the lead-up to any Proof (Trial). That should cure any difficulty that there might be with provision to the defender of fair notice of the case against it. On that basis, the application for dismissal was refused and the case will proceed to Trial. Thus there should still be some scope to employ a Debate successfully to get rid of a patent action on the basis of claim interpretation alone. One further and more general point about this decision is that it demonstrates a willingness by the IP judges to move away from the more traditional approach of insisting on very detailed pleadings which cover all angles to allow a pursuer to proceed to a Trial with evidence etc. This approach is encouraged by the the recently revamped Scottish IP Court management rules. There is much more scope now to rely upon evidence to enlarge upon what is stated in the written case which is a potential benefit. It will tend to speed cases up and will lend itself to costs savings. As long as there is, at the same time, a means to ensure that there is fair notice given of the case to be made at Trial it seems a sensible approach to take to the issue of patent claim interpretation and generally in IP cases as a whole. Pharmaceutical Innovation, Competition And Patent Law: a Trilateral Perspective, edited by Max Planck Director Josef Drexl and Finnish scholar Nari Lee, has just been published by Edward Elgar. This book has a strong list of contributors drawn from Europe and the United States, principally from academe but with some members of the judiciary and public administration thrown in. Normally this blogger would deprecate the absence of some input from industry or private practice, but this criticism would be misplaced in a volume such as this, where the contributors have addressed real-world issues in a refreshingly direct and accessible manner, with as much attention to factual detail and commercial reality as one might expect from anyone familiar with the workings of the IP system at the point of convergence between innovation, competition and patent law. "Public health, safety and access to reasonably priced medicine are common policy goals of pharmaceutical regulations. As both the context for innovation and competitive structure change, industry actors dynamically challenge the balance between the incentive for protection ['the incentive for protection' is what we bloggers used to term "profit" but now increasingly call "survival"] and the achievement of those policy goals. Considering the arguments from the perspectives of innovation, competition law and patent law, this book explores the difficult question of balancing protection with access, highlighting the difficulties in harmonization and coordination. The contributors to this book, including academics, judges and practitioners from Europe, the US and Japan, explore to what extent patent strategies and life-cycle management practices take advantage of patent laws and health-care regulation and disrupt the necessary balance [this gives the game away: some might have expected the text to read "necessarily disrupt the balance" -- but that's a subject for another book ...] between incentives for innovation and access to affordable medicine and health care". This is an enjoyable and thoroughly contemporary account of the shifts that have influenced an extremely important area of law and practice. Annoying and, in this era of computerised setting pretty well inexcusable, is the lack of a table of cases and a bibliography of materials cited by the respective authors. Not everyone reads a book from cover to cover and retains a perfect recall of the authors' sources, and this small addition would give the book an element of functionality that would greatly enhance its value. Full bibliographic information about it may be obtained from this book's web page here. After the decision “Bearbeitungsmaschine” discussed here, the fourth Senate of the Bundespatentgericht has issued a new decision with the name “Dichtungsring” (4 NI 13/11) (headnote published here. 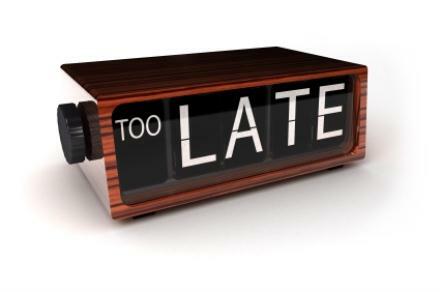 Full text of the decision not yet publised) on the late filing of documents after the time limit set in the preliminary opinion according to § 83 II S. 1 PatG and when a “sufficient excuse” according to § 83 IV S. 1 Nr. 2 PatG exists. 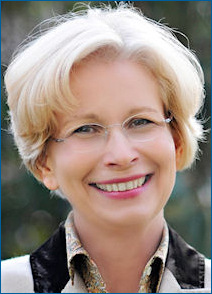 While the Senate points out that the combination of two claims of the patent as granted is not sufficiently surprising to be used as a sufficient excuse and that, accordingly, the objective degree of due diligence applicable would have required to search for pertinent prior art in advance, this is not the case in the event that the patentee adds a feature from the specification. In the case at issue, the patentee had added a feature from the specification, and the plaintiff had filed new prior art relating to this amendment. The principle of “equality of arms” already invoked in the decision “Bearbeitungsmachine” requires in this case to grant permission to the plaintiff to file new documents. From a practical point of view, this implies that amendments combining dependent claims will be admissible as a rule even at very late stages of the procedure, e.g. in the course of the oral proceedings, because the plaintiff is supposed to be prepared for this case. Amendments adding features from the specification should be filed in advance and could be rejected as inadmissible if the plaintiff argues that an additional search and thus an adjournment of the oral proceedings is required.